I get sidetracked into thinking of my photos only in the context of newsstand papers and magazines, so I’m always happy to find unconventional uses for them. 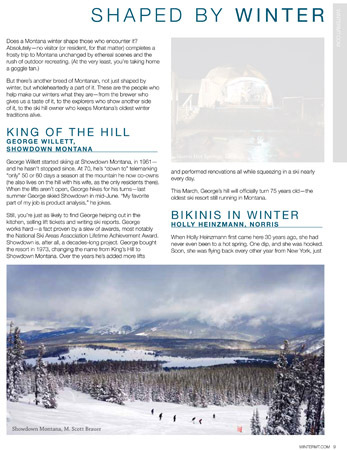 One of my pictures, from Showdown Ski Area in central Montana, was featured in this year’s Winter Guide (available in hotels and tourist locations in the Western US and as a free PDF) published by the Montana Office of Tourism. You can see other images from Showdown in my archive or elsewhere on this site.